If teachers are for it you can bet a lot of money that right wingnut republicans are against it. Interestingly you don’t see any corporate lobbyists making the same contribution. 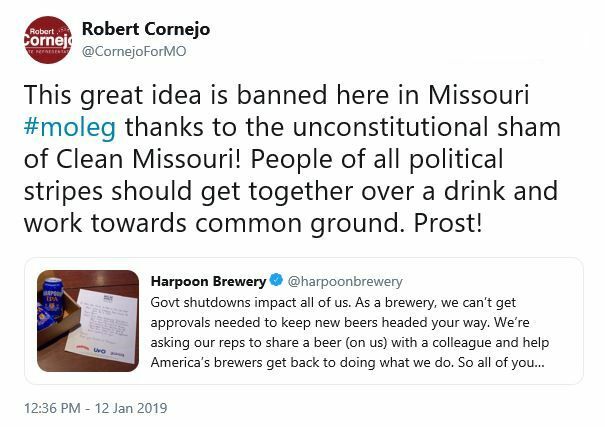 Shall The Missouri Constitution Be Amended To: •Change Process And Criteria For Redrawing State Legislative Districts During Reapportionment; •Change Limits On Campaign Contributions That Candidates For State Legislature Can Accept From Individuals Or Entities; •Establish A Limit On Gifts That State Legislators, And Their Employees, Can Accept From Paid Lobbyists; •Prohibit State Legislators, And Their Employees, From Serving As Paid Lobbyists For A Period Of Time; •Prohibit Political Fundraising By Candidates For Or Members Of The State Legislature On State Property; And •Require Legislative Records And Proceedings To Be Open To The Public? •Prohibit State Legislators, And Their Employees, From Serving As Paid Lobbyists For A Period Of Time; •Prohibit Political Fundraising By Candidates For Or Members Of The State Legislature On State Property; And •Require Legislative Records And Proceedings To Be Open To The Public? Now that’s a noble cause. They’re gonna need a lot more money. If this gets on the ballot and passes, what’s a right wingnut billionaire to do? 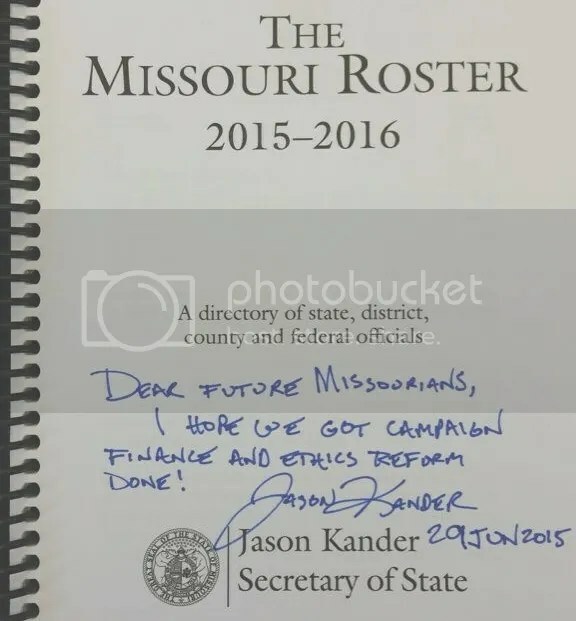 In the time capsule – from Missouri Secretary of State Jason Kander (D). Why can't Missouri be more like Michigan? Digging out of this hole is Missouri’s true challenge. But neither our Legislature nor our governor can get over their “no new taxes” pledges to do anything meaningful about it. 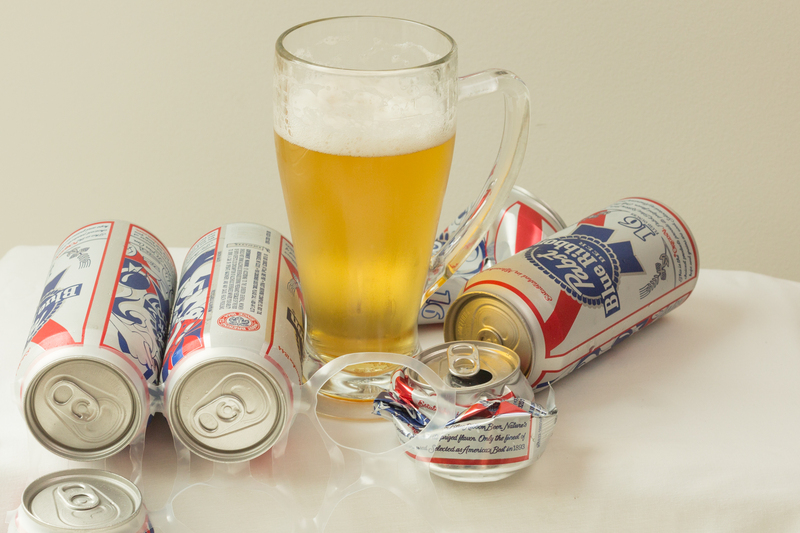 Mr. Nixon should declare a holiday. A tax credit holiday. This single action would more than fill the budget hole estimated by legislative leaders to be in the range of $500 million. Everybody in the Capitol knows that Missouri’s biggest ongoing budget problem, outside of the Great Recession, is the state’s propensity to hand out tax credits like legislative candy along a parade route. Some credits go to good causes, like senior citizens on a fixed income. Most go to developers or corporations as incentives, theoretically, to create jobs. Unfortunately for the theory that tax credits create jobs, the evidence that they do so overall is just not there. This fact is fairly well known, accounting for the fact that there are folks on all sides of the partisan divide willing to take pot shots at the practice. So what has our governor decided to do? In spite of the importance of education to our economically beleaguered state, Governor Nixon proposes to partially balance the budget by cutting $89 million from an already mediocre state higher education system. This year, when you hear talk about the state’s dire budget situation and the pain and suffering it has caused – 860 state jobs will be lost, for just one instance – remember there was a solution staring us in the face, and miracle of miracles, it might even have garnered some bipartisan support. Also keep in mind that a few days ago, GOP gubernatorial candidate Dave Spence actually proposed a moratorium on tax credits as an important part of his economic plan. He seems to have learned something in those home economics courses. To give the Governor his due, he’s up against a system that practically dictates that the worst case solution will be the only practicable option. In spite of some GOP criticism of tax credits, others in the legislature have made their unwillingness to reform the state’s program known. Last year, in fact, the Governor was warned by Steve Tilley, who has since become House Speaker, and three other powerful committee chairman – before he even put a budget proposal forward – that they would not permit him to use tax credit reform to balance the budget. It’s hard not to conclude that once again powerful vested interested are calling the shots when it comes to the distribution of state tax dollars. Nevertheless, one can’t help wondering just what might be achieved if the Governor had been willing to go out on a limb and show just a little more political courage. Surely there’s a time when we have to fight – even if we’re already backed to the wall? Perhaps that’s when we most need to show some fight. Narrator: This legislative summary is brought to you by Main Street Insider. Today we examine the “constitutional option” as proposed by Senator Tom Udall which is a mechanism that opens the door to changing filibuster rules. The Senate’s reputation as the place where bills go to die is becoming increasingly appropriate since two thousand seven. David Waldman: Major legislation used to face a filibuster about eight to ten percent of the the time as far back as the sixties. These days seventy plus percent of the bills and nominations coming to the floor face a filibuster which really means that the Senate has just become paralyzed. Narrator: In response Senator Udall has proposed using a procedural mechanism that allows a simple majority to end a debate on rules changes at the beginning of a new Congress instead of the usual two thirds super majority. This so-called “constitutional option”, if approved, would apply only on the first legislative day of the session and would require the President of the Senate’s approval. It does not contain any substantive changes to the rules themselves and simply provides an avenue to approve the rules with fifty-one votes. Supporters say that filibuster reform is crucial to meeting the nation’s many pressing concerns and believe this option presents the best hope to change the rules. Senator Tom Udall: With the hundreds of bills passed by the House the senate’s to do list keeps growing. the obstruction is irresponsible and far too easily influenced by the special interests. Narrator: Opponents argue that the filibuster is a longstanding and important tradition that should not be jettisoned so casually. The measure is expected to be brought up by Senator Udall in the first day of the new session, January fifth, and will require a majority vote, or fifty votes plus Vice President Biden to pass…. 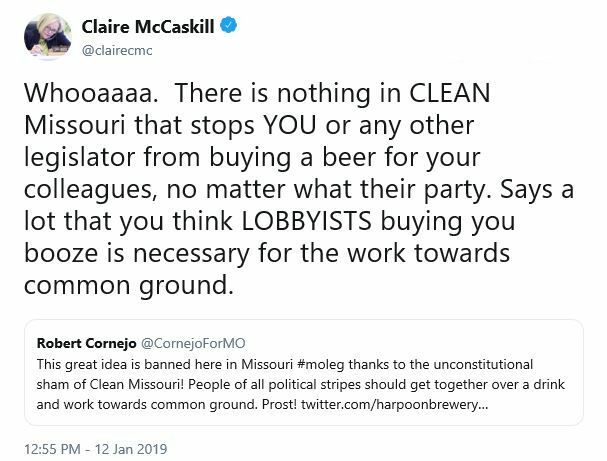 Well, Claire, which side are you on?